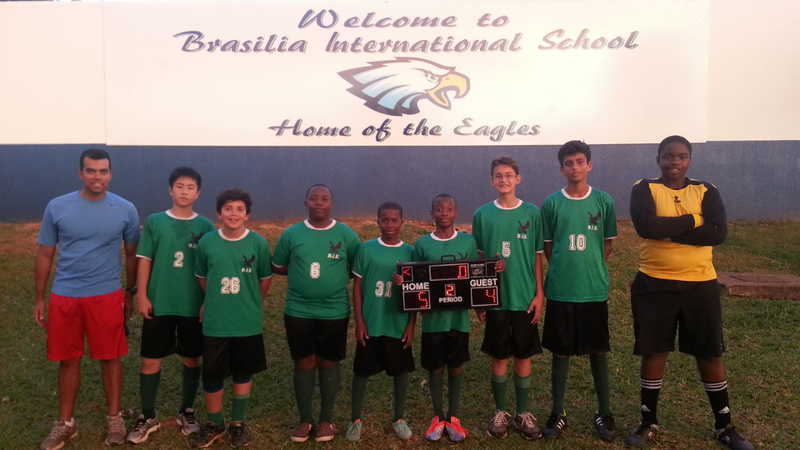 The Junior High soccer team ended their season with an exciting game against the French School. After being down 2 to 0 on the first half the Eagles rallied back to tie the game at 4 to 4 on the second half. On the last play of the game Lucca defended a shot from the French School, then passed the ball to Goro who passed to Saturnino who dribbled forward and shot a rocket in to the corner and scored the winning goal for the Eagles! It was an AMAZING finish! 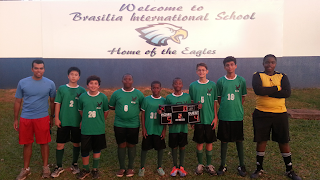 Great job to Goro (scored two goals), Rafael, Salvador (scored one goal), Makuembo, Saturnino (scored two goals), Lucca, Farhan and Linus. Way to go Eagles!